Pray for the Mission – something to ponder upon. Many of you will have seen a notice requesting prayers for this Mission. “Maria Divine Mercy has requested urgent prayers for the protection of this Mission from those who are persecuting it on every level. Of course, it’s not surprising that this is happening. The part that struck me was “on every level”. I wondered what it meant! Many of us have read about, or heard about, or experienced persecution from other Catholics, from the Media and from the clergy. Those who do support us are under cover. I wondered whether, like the Bible reading at Prayer Group last Thursday, and like the Bishops’ conference, it was from within. Crusade Prayer Groups are vital to the success of the Mission of Salvation. Crusaders are part of the Remnant Army ! Jesus gave us instructions for our prayer groups. He said if we obeyed his instructions, that we would receive many blessings. There must be tens of thousands of people in Crusade prayer groups – where are the blessings? Are we doing it right? Find out what these instructions mean for us in tomorrow’s post! 1. Plans are made in human hearts, but from the LORD comes the tongue’s response. 2. All one’s ways are pure in one’s own eyes, but the measurer of motives is the LORD. 3. Entrust your works to the LORD, and your plans will succeed. 4. The LORD has made everything for a purpose, even the wicked for the evil day. 5. Every proud heart is an abomination to the LORD; be assured that none will go unpunished. 6. By steadfast loyalty guilt is expiated, and by the fear of the LORD evil is avoided. 7. When the LORD is pleased with someone’s ways, he makes even enemies be at peace with them. 8. Better a little with justice, than a large income with injustice. 9. The human heart plans the way, but the LORD directs the steps. 10. 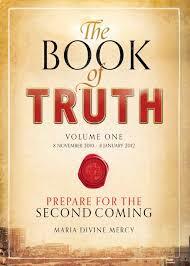 An oracle is upon the king’s lips, no judgment of his mouth is false. 11. Balance and scales belong to the LORD; every weight in the sack is his concern. 12. Wrongdoing is an abomination to kings, for by justice the throne endures. 13. The king takes delight in honest lips, and whoever speaks what is right he loves. 14. The king’s wrath is a messenger of death, but a wise person can pacify it. 15. A king’s smile means life, and his favor is like a rain cloud in spring. 16. How much better to get wisdom than gold! To get understanding is preferable to silver. 17. The path of the upright leads away from misfortune; those who attend to their way guard their lives. 18. Pride goes before disaster, and a haughty spirit before a fall. 19. It is better to be humble with the poor than to share plunder with the proud. 20. Whoever ponders a matter will be successful; happy the one who trusts in the LORD! 21. The wise of heart is esteemed for discernment, and pleasing speech gains a reputation for learning. 22. Good sense is a fountain of life to those who have it, but folly is the training of fools. 23. The heart of the wise makes for eloquent speech, and increases the learning on their lips. 24. Pleasing words are a honeycomb, sweet to the taste and invigorating to the bones. 25. Sometimes a way seems right, but the end of it leads to death! 26. The appetite of workers works for them, for their mouths urge them on. 27. Scoundrels are a furnace of evil, and their lips are like a scorching fire. 28. Perverse speech sows discord, and tale-bearing separates bosom friends. 29. The violent deceive their neighbors, and lead them into a way that is not good. 30. Whoever winks an eye plans perversity; whoever purses the lips does evil. 31. Gray hair is a crown of glory; it is gained by a life that is just. 32. The patient are better than warriors,and those who rule their temper, better than the conqueror of a city. 33. Into the bag the lot is cast, but from the LORD comes every decision. I come in the Name of Jesus, Who came in the flesh and was made man. My dearly beloved daughter, you are now so very close to My Heart, yet you can feel so far away. At times you think you have been separated from Me, when in fact, you have only drawn closer in union with Me. Never forget, My children, that many secrets given to My visionaries and seers, foretelling future events to come, have been mitigated through prayer. Many, many ecological disasters have been averted because of the devotion shown to My Blessed Mother. Her devotees have averted many earthquakes, floods and tsunamis because of their prayers. Prayer can be very powerful. One person’s prayers and suffering can save a nation. Remember that. In this period of intensity, I hold out and rely on My followers to help Me to save souls. Many of these souls will not survive the Act of My Divine Mercy and will die in mortal sin. So many of you have responded to My Call with such obedience and generosity of heart. You bring Me great comfort. I bless you, My dear followers, and ask you to continue to pray for the souls of others. All of humanity will be given the Gift of My Mercy shortly. Not one will fail to understand the Truth of My Existence. But not all will want to embrace Me even when the Truth is revealed to them. They are the souls I pine for. These are the lost souls for whom My beloved Mother spills tears. These are the sinners you must help Me save, because I want to save all of God’s children. O my Jesus, help me to help You salvage the remnants of Your children on Earth. Fill me with the Graces to offer You these sufferings with love and joy in my heart so that we will all unite, as one, in love for the Blessed Trinity and live with You, as one holy family, in Paradise. Amen. Keep close to Me now. It won’t be long. All of you who are part of this Mission, should, by now, be used to (and at least somewhat immune to) the attacks of the devil. Yes, the attacks will still happen and often through unsuspecting people in the potentially most damaging ways – but God always has the upper hand!! Eric, I pray that this has not damaged your faith in any way. In fact I think the persecution you have endured is to bring about more conversions and greater blessings for this initiative which God has planted in your heart. Thank you Jesus! Thank you Blessed Mother of Salvation! Here is the truth about that new lay monk organisation in Florida. 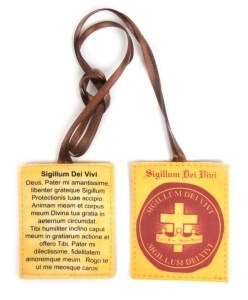 “I want to bring attention to a crusade prayer group being established in Florida by a lay monk. False accusations have surfaced and this needs to be addressed. I want you to understand that Eric, the lay monk, is trying to set up his crusade prayer group as God intended. This prayer group will gather to pray all crusades, all litanies, 3 mysteries of the Holy Rosary and multiple DMCs EACH DAY. It welcomes men and women to attend the prayer meetings. Attend every day, attend once a week…whatever works. Actually, he is also going one step further than any Crusade Prayer Group I know of. He is offering shelter for any men who wish to dedicate their lives to the prayers of this Holy Mission. God advises us early on in the messages that we should seek shelters as groups of believers. 1. Find shelters Please find shelter as groups of believers. I will send you the Light to help you survive. Begin to grow your own food. Save what food you can and put it away. Begin to plan now as if awaiting a storm. Know that darkness will descend to such an extent, that to survive, you must be prepared.- Saturday, November 20th, 2010 @ 07:202. Find shelters, in time, where you can meet to give homage to your Divine Saviour. Just keep strong. Don’t tell too many people why you are doing this. It will take only three years for the signs of this plot to unfold before your eyes. By then your plans will yield a form of support, which you may have questioned and thought, from time to time, as being strange.- Tuesday, November 23rd, 2010 @ 03:003. You must find shelters for prayer because your churches will be sold for monetary gain.- Saturday, January 1st, 2011 @ 02:004. I have corresponded with Eric and he has assured me that no one asked him any clarification question(s) about what he was setting out to do. NO MONEY has been requested. NO MONEY will be requested. So the email and blog posts from the blog in question were produced WITHOUT having the facts. An apology should be issued and the two blog posts should be retracted. Anyone speaking with Eric would realize he has given his heart to God and has spent much time in prayer discerning the messages and seeking to live according to whatever God wills for him. If in the Florida area and you want to attend a prayer meeting, email him. His email is in the video. If anyone of you here is feeling called to do more – if you feel that living 24/7 solely for this Holy Mission is what God is calling you – then pray about it and discern. Maybe joining Eric’s prayer group is for you. Watch his video. Or maybe this is a model you wish to create in the location where you are. If God suggests to us that we should find shelter for groups of believers, you can believe that many of us will either be called to provide shelter or we will be seeking such shelter. Some like Eric are doing so sooner than others. Peace be with you all Brothers and Sisters in Christ. 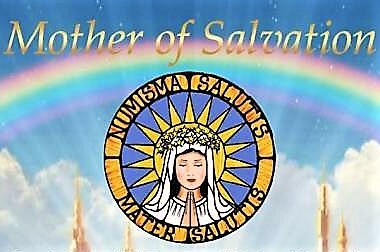 The Jesus to Mankind Crusade of Prayer Group was founded in response to the call of Jesus to Maria Divine Mercy (MDM) for the recital of a special series of prayers and litanies, called Crusade of Prayer prayers and litanies For The Salvation of Souls in these, the End Times. Thus, we (males) are completely and totally dedicated to this mission to cooperate in the salvation of souls for Jesus. If you are interested in leaving all and coming to dedicate your life, completely and totally, to the salvation of souls then please send an email to divinewillcrusadeprayerwarrior@protonmail.com for further information. May God the Eternal Father Bless you, direct you, and then keep you in His Most Holy and Divine Will for the salvation of your soul and all souls. Amen. God Bless you Dan Neville for your post and your recognition of the holiness and call from God that this mission of Eric’s represents. I attend his prayer group weekly and I can attest that he has one of the most humble and contrite hearts and is extremely in tune with God’s Will and has a huge devotion to the Mission of Salvation according to MDM/JTM! Yesterday, after Mass in the morning, we went back to hotel and ‘veged out’ because we were exhausted from the previous day. We found out at short notice that Ivan would broadcast his recent message. We had radios that translated it into various languages – we just had to tune in. What stands out from his message is “Before you can pray really well, you have to pray more often.” After his talk, the parish priest gave a sermon – also with translations. He is also a very humble and holy man. He enlarged on Ivan’s topic from Our Blessed Mother. In the evening, we went down to the church and went to Confession to one of the many priests there. We went inside the church just as a wedding was ending so we said a Hail Mary for the new couple. We took a picture of the beautiful statue of Our Lady outside. We went outside because we heard beautiful singing. 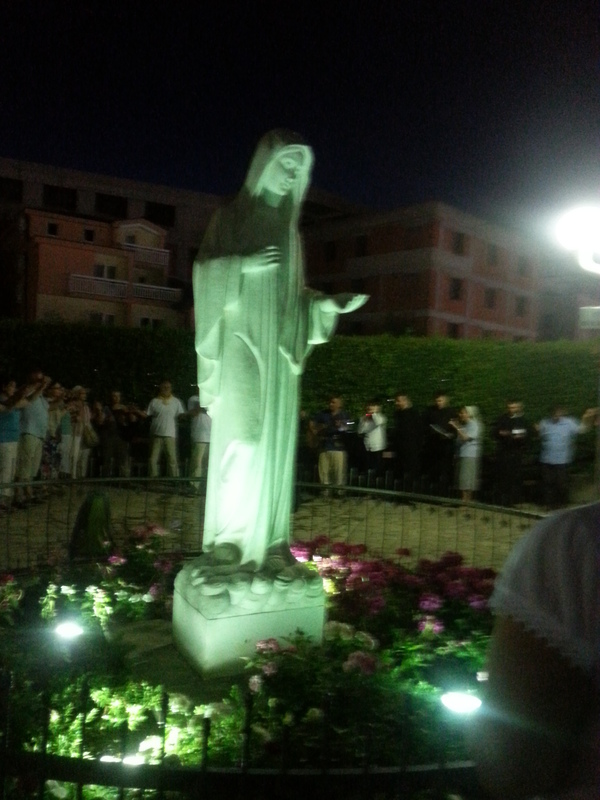 Around the statue of Our Lady was a crowd of people – maybe a few hundred – singing hymns. There was a man with a trumpet, and a man with a guitar and 2 nuns and 2 priests leading the singing. We all swayed and waved our arms or held hands. We couldn’t understand the words but we could feel the meaning. Some were to Our Lady and some to Jesus. This was at 9 o’clock at night. You could feel the love. 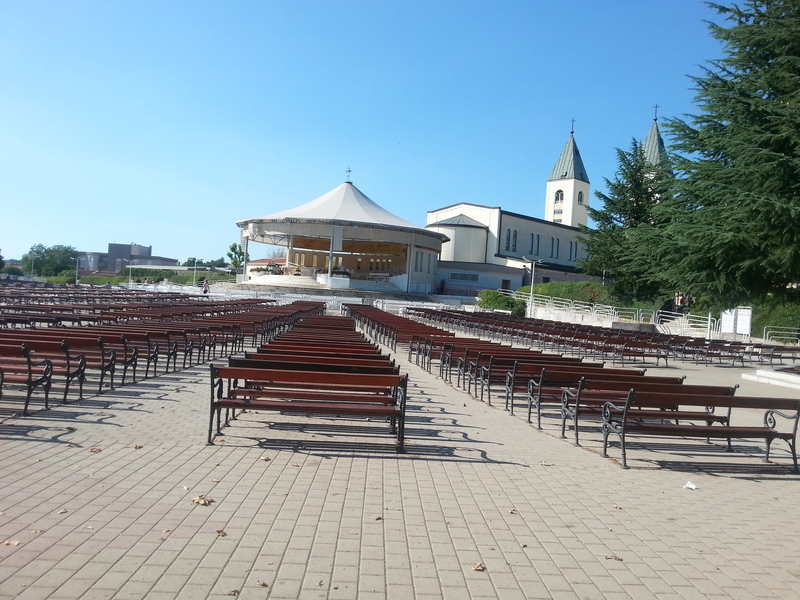 When it finished, we went over to the large outside area as Adoration was to start shortly. It seemed like just a few hundred people initially but, within 10 minutes, the place was packed with people. Every seat was full – 2 or 3 times as many as for the Adoration the night before. There were maybe 4000 people or more. As before, there was a respectful atmosphere. Blessings from heaven just pour out onto this place. No-one spoke or moved. Adoration was from 10pm to 11pm. The format was as the night before: short paragraphs of spoken text in 6 different languages; a short silence; then a chant – also in 6 different languages. This lasted for an hour. This place is so holy and the people who come here so full of faith. as big as a bread and butter plate. A light behind the host illuminated it. I would not have missed any of this for the world. What a blessing to be here! And to see so much Faith and love.